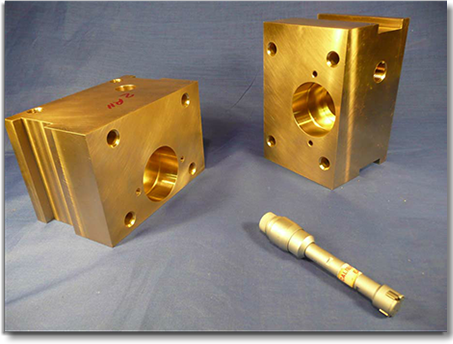 Mechanical Precision has both Horizontal and Vertical CNC Machining Centers. These machines are capable of producing extremely economical parts. Mechanical Precision has 7 Horizontal CNC Machining Centers. We have multiple pallets, spindle speeds up to 10,000 rpm, and modular fixturing. 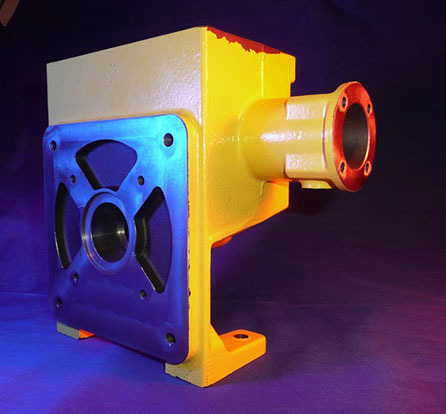 This enables many parts to be made at an economical price. Mechanical Precision offers 7 vertical machining centers. These machines are equipped with 4th and 5th axis rotary tables, 10,000 rpm spindles, and travels up to 30" x 80". These capabilities coupled with our talented CNC Programmers make complex shapes for Cams, Extrusion Dies, Castings, Microwave, Medical Implants, and more complex parts possible.